Tashkurgan to Kashgar - We left Tashkurgan, a place mainly populated with Tajik peoples, and drove northward into the Pamirs. We passed new peoples, the Kyrgyz, who are more nomadic and live in Mongolian style yurts, which are round tents. Their dress is also different, long white hats for men, flowing dresses and silk handkerchief bandanas for the women. Kyrgyz look Mongolian while Tajiks look Turko-Russian. To leave the Pamir plateau we went over another mountain pass, through the foothills of the Kongur Mountain (7719 meters) and Muztagh-Ata Mountain (7546 meters), through wine-red sandstone walls of the Ghez Canyon, across huge boulder fields, and past a submerged plateau ringed by vast sand dunes called teh Kumtagh or Sand Mountains by locals. 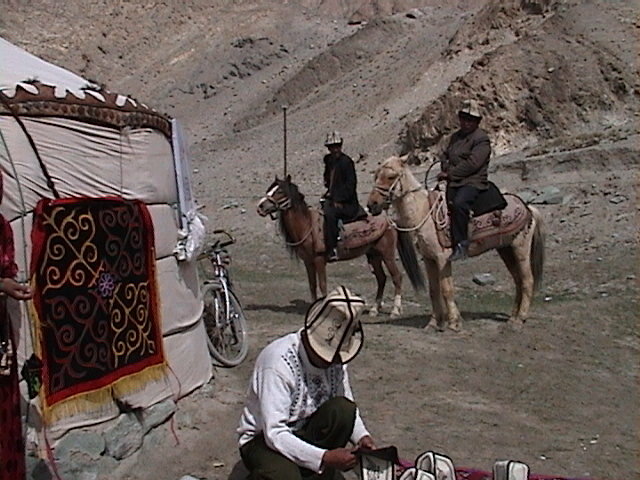 The Kyrgyz wear these white hats and live in yurts along the highway. 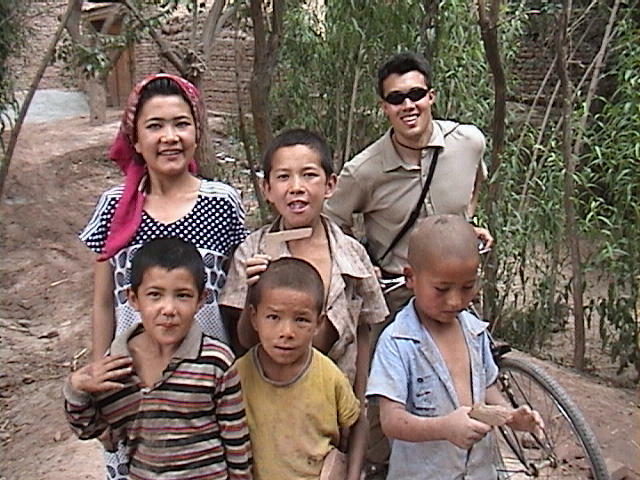 In Kashgar we met another distinct group of people, the Uyghurs. 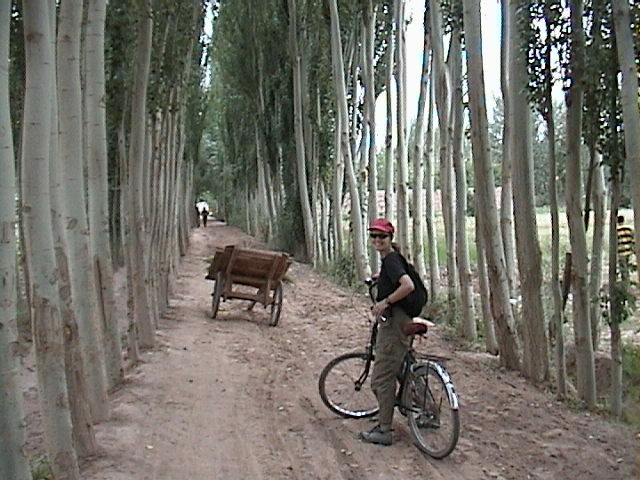 All the streets of the Uyghur villages are lined with poplar trees which creates nice biking scenery.